Westchase homes have a special appeal in Tampa Real Estate. Westchase is a subdivision to the Northwest of Downtown Tampa and is perfectly located within 10-15 minutes of the Airport and within close proximity to Westshore Business District, St Pete and the Beaches. Westchase is a planned development with a distinct urban and close knit feel. Featuring 3,485 homes in 29 separate villages, it’s a good size without feeling congested. Each village has its own hub of activity which comes together at the 2 Swim & Tennis Centers, 2 Playgrounds, Sport Fields, Outdoor Exercise Equipment and Picnic Pavilions and the 2 Westchase Town Centers. Over the years, Westchase Real Estate has consistently held value and the neighborhood has been a premier destination for home Buyers. West Park Village and the Village Green feature the unique neo-traditional style townhomes, villas and single family homes with the charm of front porches and alley entry. These two neighborhoods have a feel similar to South Tampa’s Hyde Park but the homes are much newer rather than being built in the 1920s and 30s. 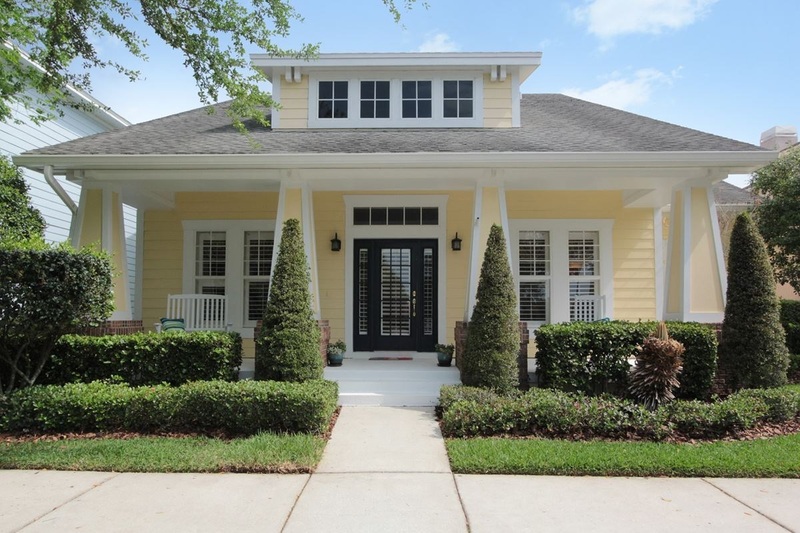 The balance of the Westchase homes and neighborhoods lend to a more traditional Florida-style home. The Harbor Links, The Greens, The Vineyards, The Enclave, Woodbridge & Stonebridge are the gated neighborhoods within Westchase. Westchase also features the well-respected Westchase Golf Club which is set in and around The Greens, Saville Row, Glencliff and Harbor Links and provides a gorgeous setting for many Westchase homes and the community as a whole. Jason & Dyan Pithers have extensive knowledge of the homes for sale in Westchase as they have sold many homes in this area. One of our offices is conveniently located in the Westchase Town Center next to Starbucks, Irish 31 & Catch 23. Dyan is also very civically active in the Westchase Community Association. She has served as a Voting Member from 2005 – 2010 for the Village Green and is current Alternate Voting Member for West Park Village since 2015, sat on the WCA Board for 6 years, is on the Welcome Committee and has served on various other committees including the Guidelines and Modifications Committee. One of the other factors that make homes for sale in Westchase so appealing is the extensive and well-established Tampa Bay Aquatics Youth Swimming and Youth & Adult Tennis Programs which are run out of the Westchase Swim & Tennis Center on Countrway Boulevard. Tampa Bay Aquatics, also known as TBAY-Westchase, is a competitive age-group swimming program. The program offers a year-round commitment which includes advanced skill development and participation in PCL and Florida Swimming certified meets. The Westchase Swim facilities include 2 8-lane 25 yard Pools. All of this within a few minutes of Westchase Homes for Sale. The information contained herein has been provided by MFRMLS. IDX information is provided exclusively for consumers' personal, non-commercial use, that it may not be used for any purpose other than to identify prospective properties consumers may be interested in purchasing, and that the data is deemed reliable but is not guaranteed accurate by the MLS. Listings last updated Apr 18, 2019 7:20:am.